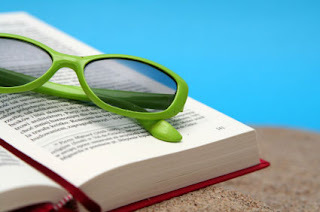 The Relentless Reader: Summertime Reading? Do your reading tastes change when the warm weather hits? Every year tons of "Summer Reading Lists" come out. From all sorts of outlets: NPR, Oprah, etc. etc. I'm a gal who loves a good book list, of any sort. I like to see what others are reading and to find books to add to my ever towering TBR pile. I'm curious, do you find yourself reading lighter fare in the hotter months? Hi, great blog! I am a new follower from GoodReads and would love a follow back! Hi Jennifer - I so agree with you. i never really understood the summer reading list thing. I always assumed that the idea was to read something "light". I think that the idea started with "Beach Reading Lists". Even when I read at the beach I do not find that the book needs to be easy or light. Lately I see that some of the summer lists contain some pretty heavy classics which further confuses me.